We zig when they zag. 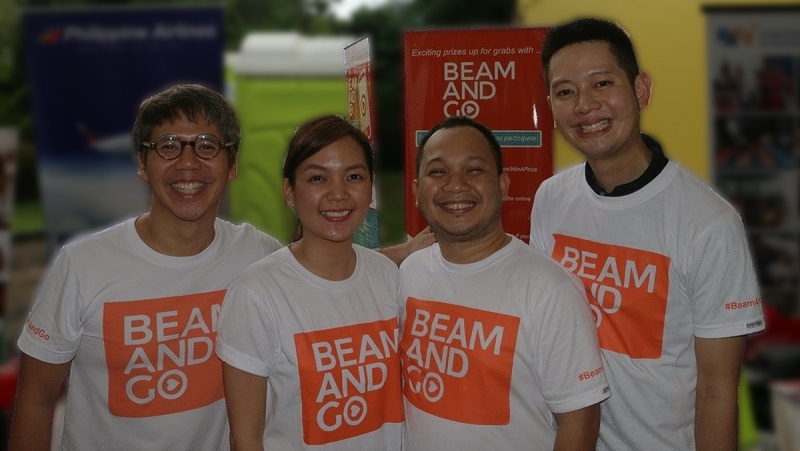 Last October, Victoria T. Vizcarra of Entrepreneur Magazine, invited me for a little chit chat to share some business insights about BeamAndGo and how we, as a startup, are attempting to “break the mold” in our industry. Victoria T. Vizcarra (VV): How well is BeamAndGo doing? Has the business reached any new milestones or made any significant changes recently? 7. Our revenues have gone up. VV: Has there ever been a time when you trusted your gut to make a big business decision instead of confirming to the norm by which things were normally done? Could you tell us more about this? How did this risk pan out? JEC: Being a new company in a mature industry, we make a conscious effort to do things out of the norm (we zig, when others zag). However, we are not blindly contrarian: our decisions are based on our core values and made with careful analysis with a view on the long term. 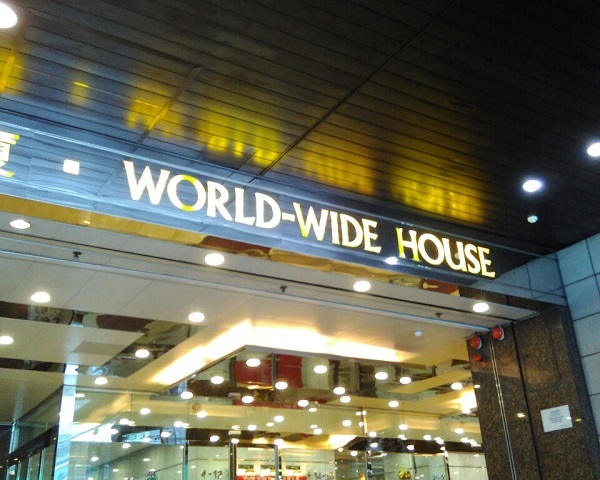 When we first started out, other companies who targeted OFW remittances focused on gifting. Their products included gifts and their advertising leaned heavily on Christmas, Valentine’s Day, Mother’s day, and birthdays. For us, we curated our merchant network with a focu on the essentials – groceries, supplies, health, insurance, bills. No teddy bears. No bouquet of flowers. Our marketing and outreach concentrated on essential everyday giving and we advocated responsible spending and financial prudence. We always aim to be a trusted partner in our customers’ lives. Furthermore, our efforts were not limited to eCommerce and our web store. 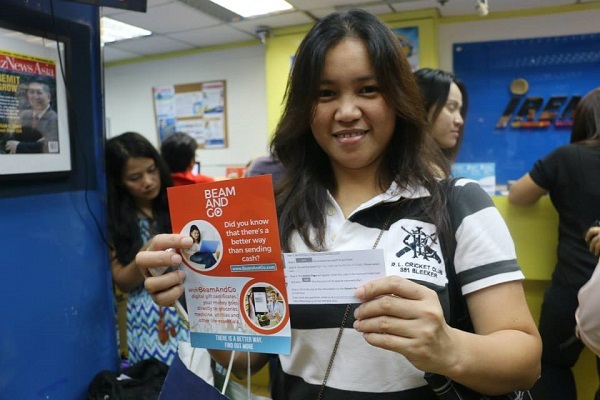 We held financial literacy seminars for OFWs AND their families. While other companies targeted just OFWs, we included OFW families in our outreach; we believe that uplifting the financial welfare of a family is not the sole responsibility of the provider but requires the involvement from the whole family. Right now it’s too early to see if our approach works; however, this past year, we have gained the support of many merchants, sales channels, LGUs, and NGOs. And more importantly, our customers have made us a trusted partner in their lives. VV: Follow-up question-If you go against convention, the chances of rejection are much higher. So what made you decide to take that risk? JEC: “going against convention” was a result of our company beliefs, not solely a decision made from a commercial perspective. So we didn’t perceive it as a risk but as something we needed to do to stay true to the values of the company. Staying true to the values of the company translates to how we build relationships with consumers. VV: Are there any unspoken social niceties that happens when founders are hustling for their business? Have you ever had to be not-so-polite when dealing with others, for the good of the company? Could you give us an anecdote? JEC: I have noticed that having the title of “CEO” helps to get things moving faster. As for social niceties, we have been treated well by everyone we have met. Be not-so-polite? Never. We are always polite and respectful. Politeness goes a long way. VV: Have you ever dealt with a lack of support from other people? Could you tell us a story about it? What did you do when faced with skepticism from friends/family, mentors, or even potential clients, when you pitched your business? JEC: when starting a new company, you need an unwavering and irrational belief in what you are doing. The obstacles and roadblocks are many. The whole process will test your creativity and problem solving skills; but mostly, it will test your will. A highly rational person will give up. As for skepticism, unless the criticism is constructive, I let it slide. If it’s constructive, I love it and learn from it. When we first started, I informed my family members and close friends. They were all polite enough to say they liked the idea, but when it was time to invest, none of them did. Over the past year, I sent out an email to them every Saturday called “#BeamAndGoStaturday”: the content was lighthearted and contained snippets of what we were doing. 50 weeks later, some the same family members and friends invested in our current funding raising round. Skepticism can turn around with time and positive results. Skepticism turned into support for our advocacy to bring something new and meaningful to people’s lives. VV: Are things like name-dropping, or aggressively pursuing investors, or slightly exaggerating a business’ size/scale things that actually happen within local startup circles? In what ways do you think these can help or hurt one’s business? JEC: Yes, yes, yes. Every business in the world does this. Doesn’t matter if the company is a startup or a Fortune 500 company. This might sound Machiavellian, but the business world is tough stuff and as a business owner you have to be ruthless in all facets of your company if the company is to survive and thrive. VV: What advice would you give a fledgling startup founder about treading the line between following the rules and taking bold risks for their startup? JEC: I am still a fledgling company CEO! Ok, this is my advice: as a startup, you are inherently at a disadvantage against the incumbent big company: you don’t have a lot of money, you don’t know the market, and you don’t have a large experienced staff. So “the rules” are THEIR RULES and these rules are slanted in their favor. If you think you can beat them at their own rules, by all means go for it. I prefer to zig, when they zag. If you wanna read the full published story, grab the November 2015 issue of Entrepreneur Magazine and check out the feature story entitled “The Rule Breakers”, written by Joe Robinson and Victoria Vizcarra. After living in Singapore for over 12 years and witnessing 3 general elections here, I have come to understand the power of every person’s vote. When I first moved to Singapore, I thought the city-state was perfect: highly efficient systems, clean sidewalks, orderly and well-mannered people. Everything worked. This was the by-product of a motivated, disciplined and focused government. However, after over 40 years of hyper growth under a domineering government, Singaporeans wanted a change: they wanted more input into the policies that govern the country and their own lives. During the 2011 election, they spoke with their vote: the People’s Action Party (PAP), the ruling party since the country’s independence in 1965, lost seats in Parliament. While the PAP still owned the majority of the Parliamentary seats, they experienced the lowest margin of victory in 46 years. This was their wake-up call. After the 2011 election, the PAP went to work: they held town halls with business leaders, engaged with the citizens on social media, consulted grass roots organizations, and created forums to listen to Singaporeans. Change happened. New policies were implemented. And in the recent 2015 General Elections, the PAP won nearly 70 per cent of the popular vote, the highest percentage of votes since 2001. It was a clear mandate from the people that they were doing a good job. The people were heard and the government reacted positively. 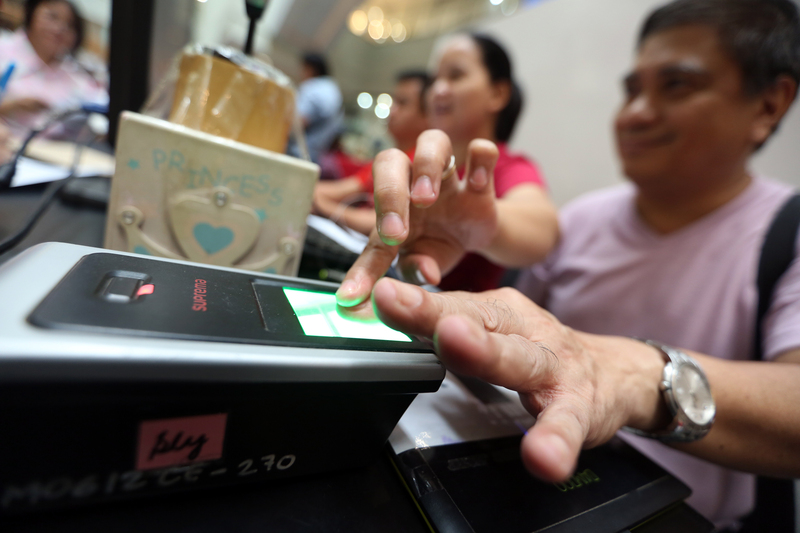 BeamAndGo encourages Filipinos around the world to register and exercise their right to suffrage in the 2016 Presidential Elections. Now in 9 months, the Philippine presidential election will take place. If you are happy with what’s happening in the country, vote. If you are unhappy, vote. If you are unsure, vote. Even if you are OFW and not living the Philippines, vote. If you vote on May 9, 2016, you will be forcing the government to listen to you. What you write in Facebook, Twitter, Instagram, Snapchat and other social media channels will mean something; the leaders will need to pay attention. Your vote is a politician’s currency. If you don’t vote, then whatever ideas or complaints or issues you have are meaningless to a politician. You won’t matter to them. Step 2. On May 9, 2016, go to an election polling station and cast your vote for whom you think will do the best job leading the Philippines. Remember: your vote is critical in making the Philippines the best that it can be. Last week Albert Go and I had the good fortune of visiting Hong Kong to celebrate our partnership with I-Remit as well as hanging out with our Hong Kong customers. And man, was it fun. And it’s a lot of fun at United Centre too! Walk to your destination, do not take a taxi. The streets are narrow and congested. Taxi rides during the day take twice as long as walking. All-in-all it was a wonderful trip, and we plan to be back soon. 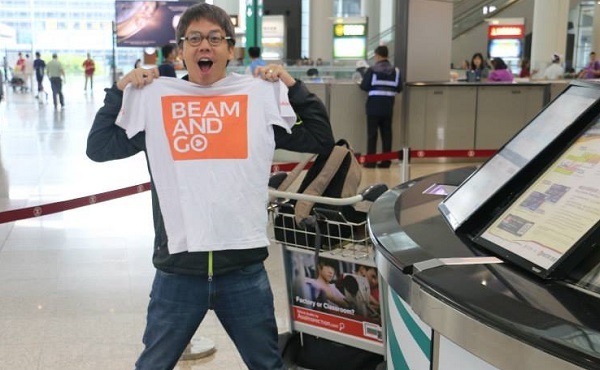 Can’t wait to meet up with more BeamAndGo Hong Kong users on our next visit. From now till October 31, 2015, buy BeamAndGo digital gift certificates at any I-Remit branch around the world and receive a discount of Php50 for every Php1000 purchase. I-Remit has offices and branches in 27 countries and territories in Asia Pacific, Middle East, Europe and Canada. If you have any questions or comments, feel free to reach out to me at jonathan.chua@BeamAndGo.com. And if you want to see what we are doing at BeamAndGo click here: https://www.beamandgo.com/store/offers. 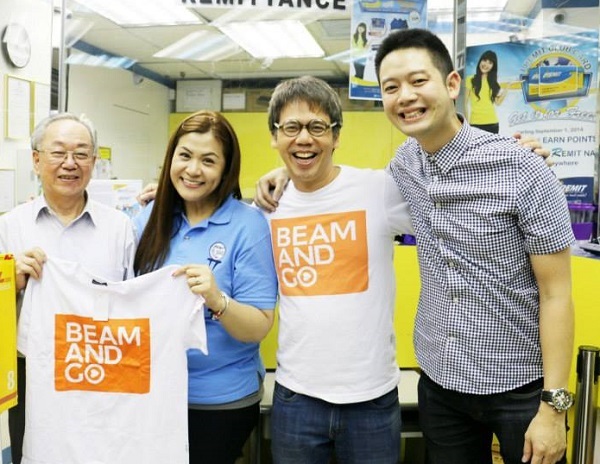 BeamAndGo Pte Ltd, an alternative remittance service that guards against misspent funds through digital gift certificates, has forged a partnership with I-Remit to offer over-the-counter payment services for OFWs to provide for their families’ grocery shopping in the Philippines. The insight on the behavior of I-Remit customers is further supported by a Bangko Sentral ng Pilipinas (BSP) study on OFWs which revealed that 82 percent of overseas remittances are allocated for their families’ basic needs such as food, supplies, medicine, and utilities. 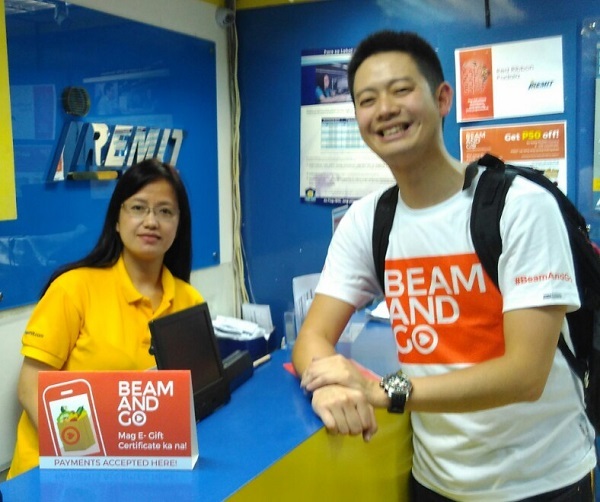 The partnership with I-Remit, which owns 12 percent of OFW remittance market, will expand BeamAndGo’s distribution network to over 1,400 payment centers. At present, BeamAndGo actively promotes its digital gift certificates in 9 markets–Singapore, Hong Kong, Malaysia, UK, UAE, Japan, Australia, Taiwan and the Philippines. I-Remit customers can now purchase BeamAndGo digital gift certificates in 3 simple steps: First, they indicate the amount they wish to send, select the supermarket, and complete the form with the recipient’s information. Recipients in the Philippines will receive an SMS bearing a redemption code within a few minutes. With this code, the recipient proceeds to the selected supermarket and presents the code during checkout to redeem. With partnerships with payment centers such as I-Remit, the Filipino remittance startup expects its customer base to grow from 70,000 to 300,000 and revenues to hit $1.5 million by December 31, 2016. To celebrate the partnership with BeamAndGo, I-Remit customers will receive a discount of Php50 for every Php1000 worth of digital gift certificates bought from August 1 to October 31, 2015. For more information about BeamAndGo and its services, visit its website at https://www.BeamAndGo.com. The City of Iriga is located at the heart of the Bicol Economic Growth Corridor and is one of the fastest growing cities in the region. It has evolved into an eco-tourism, agro-economic and educational hub with two big universities within the city. Surrounding the area are more than thirty natural springs giving the city the name “City of Crystal Clear Springs.” Iriga is also referred to as a “Character City” and its citizens have earned the reputation of being warm, friendly, and industrious. Recently at Singapore Management University, I gave a talk about Overseas Filipino Workers (OFWs), their families, remittance, and BeamAndGo. After the talk, I was introduced to the Honorable Ronald Felix Y. Alfelor, the Mayor of the City of Iriga. Turns out the Mayor and I share the same advocacy – fiscal responsibility and financial literacy. As a result, he invited me and the BeamAndGo team to a visit and speak with the Iriga’s business, education, utilities and healthcare leaders. With the wind at our backs, Albert Go (Marketing Director), Jasmin Co (Business Development Associate) and I packed our bags and headed to Iriga for a 3 day, 2 night adventure. On our first day in Iriga, we spent the afternoon talking with a group of city leaders and business people, discussing the social issues that OFW families are experiencing. We presented the BeamAndGo platform as an agent of positive change and spent time fielding questions and exchanging ideas. The merchants, schools, hospitals and utility companies provided great feedback on implementation, concerns, and adoption. It was encouraging to see both the private and public sector acknowledging the plight of OFWs and the willingness to work together on a solution. Love it! On our second day, we were given a tour of Iriga’s Gawad Kalinga Character Village. This village was, and continues to be, the pet project of former Mayor Madelaine Alfelor-Gazman. Situated along the hillside facing Mount Iriga, the Character Village was built by the poor and less fortunate. Those who participated in the building eventually became the residents. The village is clean and well-maintained. And over the years, through the hard word of the dwellers, this community has become self-sufficient. Power!! 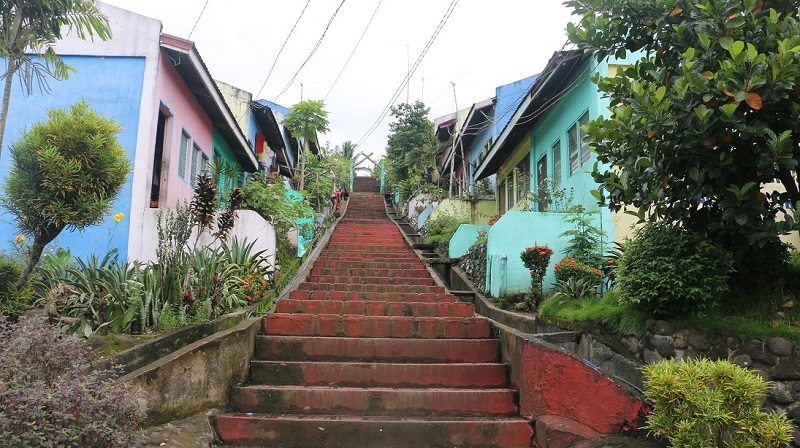 At the top of these steps is a wonderful vista of Mount Iriga. I have a bunch of pictures of the view, but I think it’s better if you visit it yourself and enjoy the scenery with your own eyes. A word about Madelaine Alfelor-Gazman: she is the former Mayor of Iriga and served that position for 9 years, ending in 2013. During those years, she was responsible for much of the city’s progress. She is also a member of Kaya Natin and an avid proponent of good governance. C’mon, this is the Philippines, you know the food is going to be delicious! We were lucky enough to have the time to enjoy 3 meals a day and each meal was yummy: crispy pata, dinuguan, corned beef hash, pancit, manok inasal, kare kare, sisig, bulalo, inihaw na posit … these are a few of my favourite things! 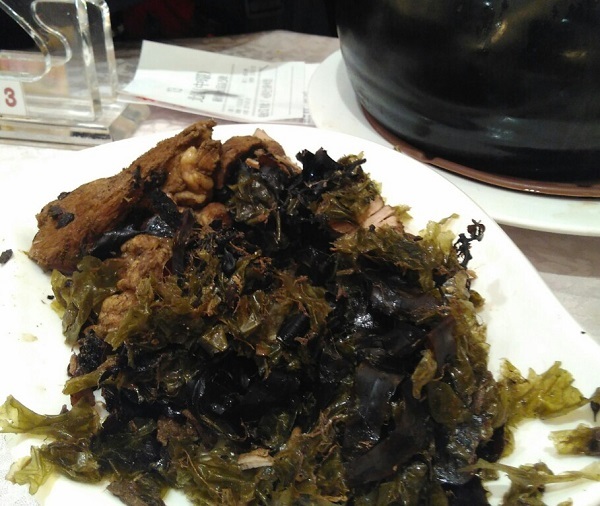 In one of our meals, we had the pleasure of tasting the Bicol speciality pinangat. I was already full before I had my first bite, but the pinangat was soooo good, that the taste of all that coconutty goodness made me hungry again. By the end of the trip, the Mayor noticed that I had gained weight. And he was right! So what does all that have to do with Hula Hoops, Ping Pong Balls and Tennis Balls? Highlight #1. A group of very talented singers and dancers did an Iriga version of Your Face Sounds Familiar. One word: Bondying. Highlight #2. Lechon and home-made ice cream. Highlight #3. Well-sung, really fun karaoke lead by ma’am Madelaine and Romy. While they sang, we danced. Highlight #4. Three parlour games: the first game involved passing a set of hula hoops through 10 of us, while we were holding hands; the second game was to shoot ping pong balls into a cup, which rested on top of a person’s head; and the last game was a relay race where the participants had to run around a chair while dribbling a tennis ball. Shout outs to Mayor Ronald Alfelor, former Mayor Madelaine Alfelor-Gazman, Nenet Berina, Nona Santiago, Peter Lagyap, Lilo, and everyone we met at Iriga. 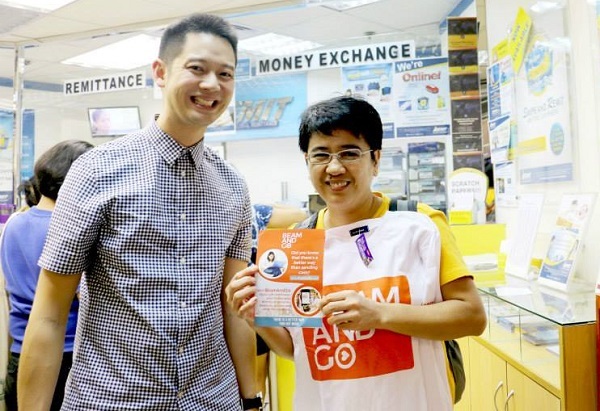 BeamAndGo Pte Ltd, an alternative remittance service that guards against misspent funds through digital gift certificates, has announced the appointment of Albert Go as their Marketing Director. This new role reports directly to the Chief Executive Officer, Jonathan E. Chua. Albert brings with him over 10 years of marketing, investment sales, and fundraising experience in the consumer banking, financial technology, and NGO sectors. In his capacity as BeamAndGo’s Marketing Director, he will be driving their outbound and inbound marketing campaigns to grow the customer base to 570,000 by the end of 2016. An alumnus of University of Asia & the Pacific (UA&P) with a Master’s Degree in Integrated Marketing Communications, Albert has had stints in Citibank and General Electric in the Philippines. His most recent job was at the nonprofit organization New Life Community Services in Singapore, where he spent 4 years raising its brand presence and fundraising portfolio to include foundations and top corporates. For his part, Albert Go, who himself spent 4 years as an Overseas Foreign Worker in Singapore, shared his own experiences on the plight of Filipinos living overseas. He recounted the frightening stories where money sent by migrants ended up getting misused on alcohol and gambling rather than on life-essentials such as tuition fees, groceries, medicine, and utilities. If you have any comments or questions, feel free to contact me at jonathan.chua@beamandgo.com. Also if you like this article, please share it with your friends and family. 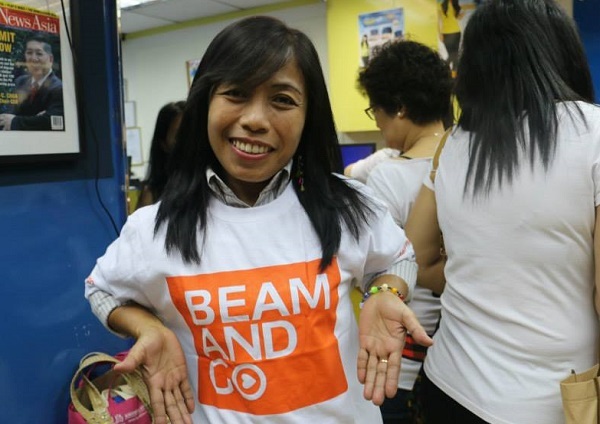 Since we started BeamAndGo about a year ago, we read a lot of articles about the remittance industry and spoke to many OFWs. Our aim was to understand what was going on so that we can provide the best solution to the recurring problems. 1. In 2014, overseas remittance into the Philippines totaled almost USD $27 Billion. And for the past 15 years, this number has increased by about 5% annually. 2. Over the last 10 years, the percentage of people living below the poverty level line has remained the same at about 25%; however, because of the increase in population, the actual number of people living below the poverty level line has increased. How is that possible that even with a steady increase of money being remitted into the Philippines every year, the % of people living below poverty stays the same? Most of the experts say that it’s because of these three things: (1) lack of financial literacy and limited knowledge which results in saving very little of the remittance money; (2) misuse of the money by spending on non-essentials like cosmetics, fast food, gifts, high-end gadgets, gambling, drugs and alcohol; and (3) theft. As we always say at BeamAndGo headquarters: “We believe there is a better way for people to support their loved ones in the Philippines other than just sending cash.” Part of it is having more knowledge and paying attention to the management of your money. Every week, our team shares financial tips, tricks, advice and recommendations for Filipinos and OFWs. I think they are all awesome. 1. iMoney Philippines‘ Learning Center has a wonderful article on saving money called “How to Save Money Wisely for Filipinos”. Check it out at http://www.imoney.ph/articles/how-to-save-money-wisely-filipinos. 2. 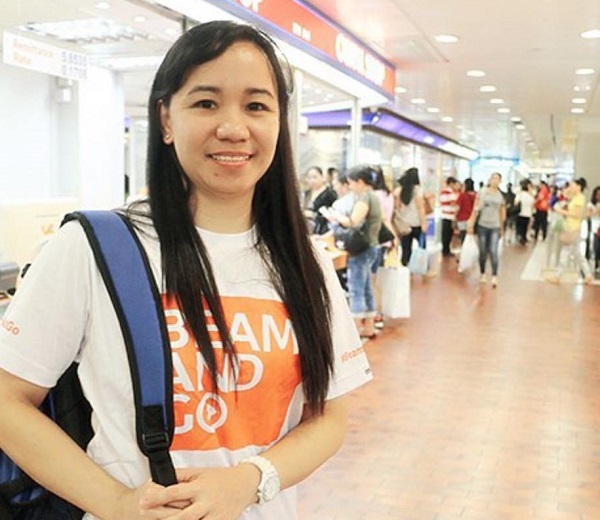 In the Life & Style section of Rappler, Lianne Martha Maiquez Laroya writes “Saving money is hard – and boring. And most of all, it’s so not effective!” But she goes on to describe 12 tricks that makes the saving process a little less boring. Go to http://www.rappler.com/life-and-style/34433-12-tricks-to-save-money to see the full article. 3. In a recent article in Filipiknow, the author talks about ways to lower one’s Meralco bill. Waste not, want not. Check out the article at http://www.filipiknow.net/ways-to-lower-electric-bill. 4. The guys at Peso and Sense recommends spending only up to 70% of the monthly cash on expenses, with the rest set aside for savings. It’s a matter of discipline and expense management. Good advice. To read the complete article, go to http://pesosandsense.com/practical-money-tips-for-filipinos. 5. Groceries are one of the big expenses in our daily lives. Got to eat, right? MoneySmart.ph talks about 5 ways to save money on your groceries. If you want to start saving, check out this article http://blog.moneysmart.ph/lifestyle/5-ways-to-save-money-on-groceries-in-the-philippines. These articles represent just the tip of the iceberg. The BeamAndGo team has found many more useful articles on ways to make your hard earned money go farther. To see them all, go to http://www.facebook.com/BeamAndGo. And if you like us, you will be notified when we post new articles. As always, if you have any comments or questions, feel free to contact me at jonathan.chua@beamandgo.com. Also if you like this article, don’t be shy, share it with your friends and family.